Photo: Rose Warburton and Marco Guerini celebrate the links. An international exchange partnership between Warrington and Italy is proving to be a great success for IMPACT, Warrington’s Youth Council. Student, Marco Guerini, 17 is sharing his experience of representing young people on the Italian Youth Parliament with members of IMPACT Warrington Youth Council and Warrington’s Member of Youth Parliament. Marco’s visit was arranged through language school Education First and he is one of two overseas students living with a family in Great Sankey during his year in Britain. 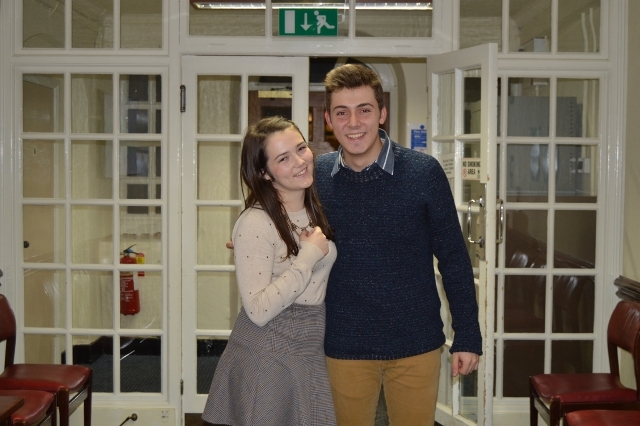 Marco regularly attends Impact Warrington Youth Council, which meets at Warrington Town Hall on Wednesday evenings. He also recently attended the regional youth forum, ‘Youthforia’ in Preston with Warrington’s Member of Youth Parliament (MYP), Rose Warburton.